This is a rarity. A huge example of taxidermy at it`s best. 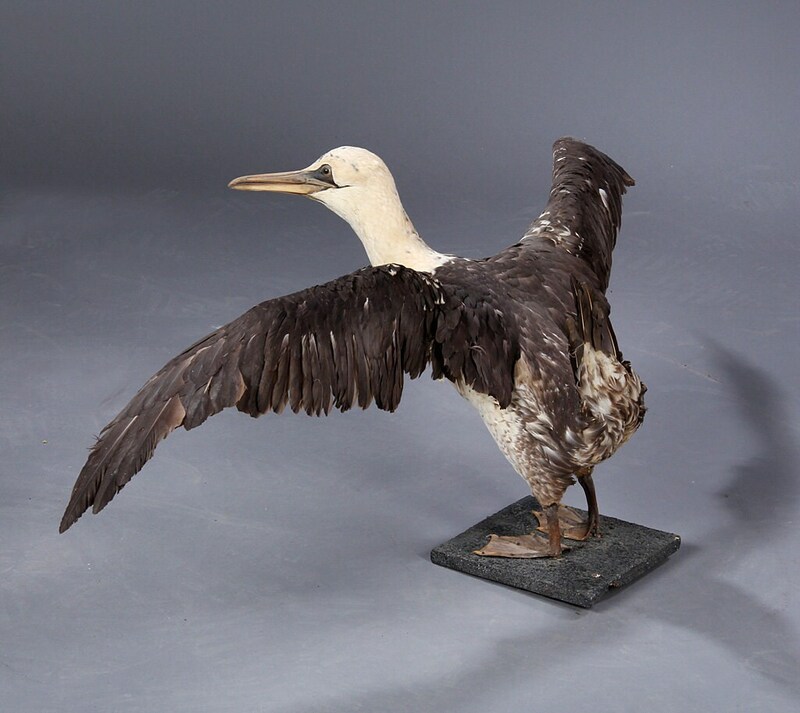 This is a magnificent specimen of a juvenile Northern Gannet. It is tastefully mounted on a realistic base. The wingspan is 1.4 metres from tip to tip and a height of 46 cm. 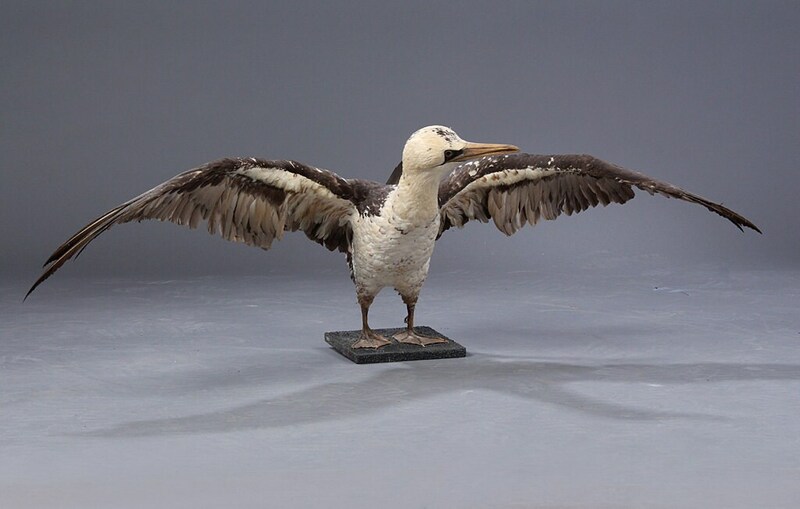 The general condition is very good, the feathers are a little ruffled on the underside of the wings but apart from that very good.The feathers around the neck are incredibly soft, the head and beak are also in perfect condition. The feet are again in very good order. As he is so large, the post cannot be used, so a courier is used for transportation.You are also welcome to collect from London SE25.